Getting all your deliveries by drone is getting one step closer to reality. Amazon (AMZN) has asked the Federal Aviation Administration for permission to conduct outdoor tests near its Seattle headquarters. 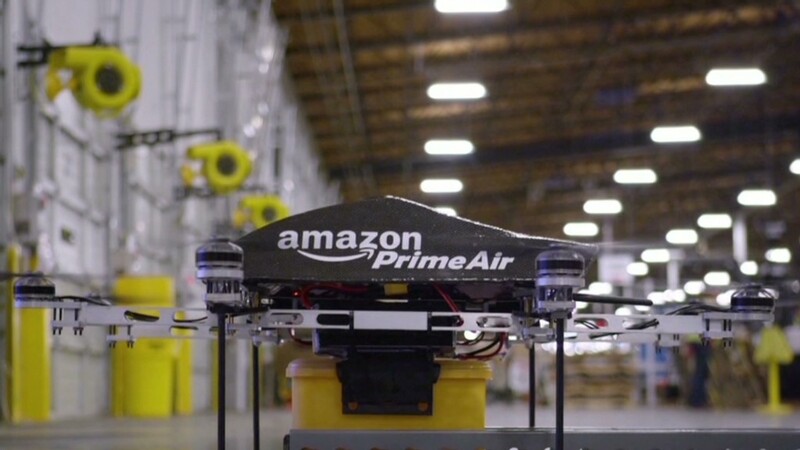 Amazon, in a letter to the FAA, said that it has already conducted indoor tests. It says its drones will "travel over 50 miles per hour, and will carry 5-pound payloads." That would cover 86% of products sold on Amazon, the company said. Now Amazon is ready to move the project outside. It said the drones will weigh up to 55 pounds. For the tests, the drones would stay within sight and Amazon said it can force landings with a remote-controlled kill switch. If the communication link with the drone is broken, it would automatically return to a predetermined location on Amazon property. Amazon said that it is only asking to do what private citizens are already doing all the time. "Current FAA rules allow hobbyists and manufacturers of model aircraft wide latitude in flying their sUAS [small unmanned aircraft system] outdoors," read the letter. "Because Amazon is a commercial enterprise we have been limited to conducting R&D flights indoors or in other countries." Amazon said it would rather keep its R&D jobs in U.S. then export them outside the influence of the FAA. The retailer did not return calls from CNNMoney. But to the FAA, the company painted an enticing picture of the future. 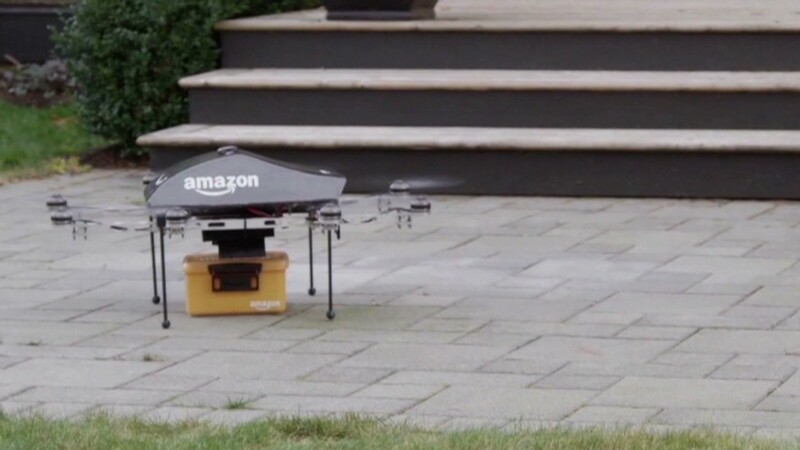 "Amazon Prime Air, a new delivery system that will get packages to customers in 30 minutes or less using aerial vehicles, is one invention we are incredibly passionate about," said the retailer. "One day, seeing Amazon Prime Air will be as normal as seeing mail trucks on the road today, resulting in enormous benefits for consumers across the nation."